How To Have A Fabulous Saturday Night In Watching The Democratic Debate, Because What Else Are You Going To Do? Your weekend errands are out of the way (some of them at least), you've caught up on your sleep, and you're ready for a fun evening with — dare I say it — a pizza pie and your television. And the night just wouldn't be right without your best friends: Hillary, Bernie, and Marty. Here is your comprehensive guide on how to have a fabulous Saturday night in watching the Democratic debate, because what else are you going to do? The networks may be doing something no one really understands by consistently airing the Democratic presidential debates on the weekends, but that doesn't mean you're going to skip out on an opportunity to hear potential leaders of the country passive aggressively argue about national issues. OK, OK, so a lot of people probably aren't going to spend a Saturday night during the holiday season watching the three Dem presidential hopefuls battle it out... again. But those folks have just forgotten that a debate night in is a delightful night in. A cozy evening on the couch is not even close to perfection without the right jammies. So don't even think you've got the proper attire on until you pair your plaid flannel pajama pants with your Clinton/Sanders/O'Malley 2016 tee. In an ideal world, Sanders would be enough of a socialist to provide us all with the same pajamas, because they would probably be so darned classy. Next up is the grub. If you're a diehard Dem debate viewer, stock up on what the candidates themselves love to munch on. In September, Hillary told Andrea Mitchell her most craved food is probably chocolate. When rapper Killer Mike took Bernie out to eat in Atlanta, among the items in Sanders' order were fried chicken and yams. If you're a Sanders supporter, make it a soul food Saturday. If you're suffering from a bit of FOMO because a slew of Instagrams pop up on your feed documenting some of your friends out at a bar, don't worry. You can play them at their own game. 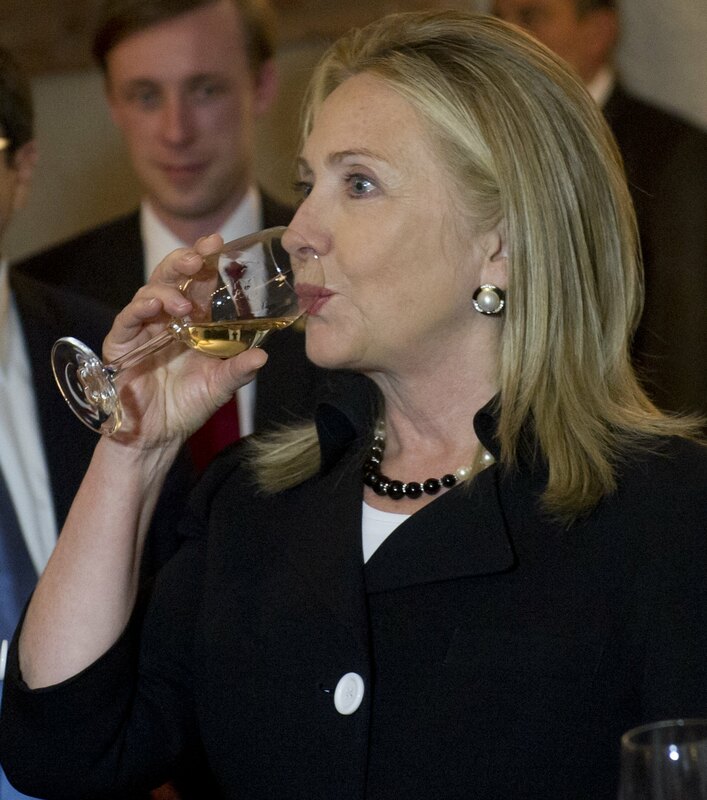 There's no shortage of debate-related drinking games out there on the interwebs. There's literally a website just for this purpose. And if you're not feeling any one in particular, make up your own. Staying in with your two housemates? Have each of you pick a candidate and make up your own cues. Opting to invite a few more guests over? Bring the debate moderators into the game. Because — well — you wouldn't even call that fun, would you?